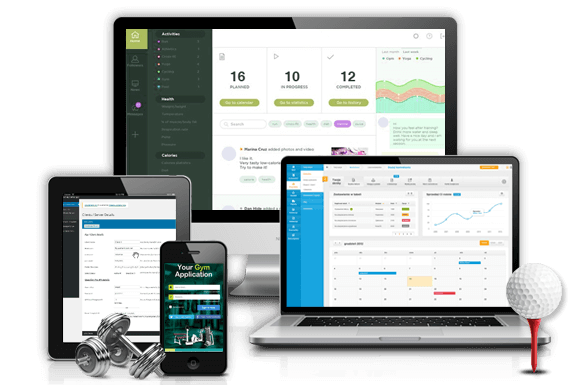 Work out all the kinks in your fitness business operations with Chetu’s custom gym management software. We design modules to manage members and staff, scheduling, track fitness performance, automate daily tasks and more. We program club management software platforms to enhance operation efficiency and streamline workflows including scheduling, registration, point of sale, billing, payroll, and more. We customize club management software for fitness, health, gym, dance / yoga / martial arts studios, corporate, hotel/resort, university, parks & recreation, and other facilities. We create property management and facility maintenance systems including modules for maintenance scheduling/alerts, asset tracking, access control, operations management, and inventory management integrated with front desk platforms and other custom features. We engineer electronic gym billing software, multiple payment type solutions, automated fees presentment / collection systems, Point-of-Sale (POS) / retail applications, certified ACH batch processing, payment gateway integrations, accounts receivable management, and more. We build membership management software modules including enrollment applications, digital signature capture, membership database software, photo ID capture, member card generation, web portals and integrated website / mobile app services. We engineer member tracking applications to include member stats, attendance / payments tracking, loyalty programs management and personalized marketing tools. Our developers program smart ID card and badge management systems. The systems are integrated with registration software for badge creation and verification solutions, analytics and reporting tracking features. We develop photo ID capture and generation modules for scan tags with NFC, QR, barcode, and biometric technology. We provide custom branded mobile applications to boost client engagement with fitness trackers, online coaching, diet and nutrition planners, booking classes as well as member retention features, marketing / push notifications, social media integrations, lead outreach, and more. We develop front desk management applications with mobile check-in, 360⁰ club oversight, real-time scheduling, events / classes management, staff / trainers / vendors management, online booking / scheduling capabilities, peripheral services management (child care, towel service, lockers, etc. ), among other features. We customize Customer Relationship Management (CRM) platforms to include among other features member data aggregation modules for direct marketing, integrated website, client communication, email automation, customized analytics and reporting tools. We program staff and trainer management modules for automation of scheduling, payroll calculation, certifications, onboarding employees, commissions tracking, remote log in accessing and mobile synchronization. We offer personal trainer applications development including automation of appointments/clients management, assessments, customized meals/training program management, nutrition modules, exercise libraries, and more. We engineer embedded applications, cloud connectivity, and wearable fitness technology software. We program software for fitness equipment with custom screens/interfaces, personalized training, motion tracking/ analysis, synchronization with mobile apps, TV/media controls, data collection among other features. Drop us a line or give us ring about fitness club and gym management software development. We love to hear from you and are happy to answer any questions.